The primary purpose of an expansion card is to provide or expand on features not offered by the motherboard. For example, the original IBM PC did not provide graphics or hard drive capability. 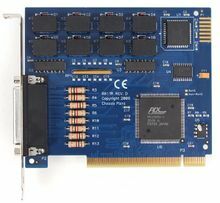 In that case, a graphics card and an ST-506 hard disk controller card provided graphics capability and hard drive interface respectively.